The voice talents of Sir Lenny Henry and Game of Thrones’ Kit Harington have been tapped for a BBC One TV adaptation of the popular children’s book Zog. 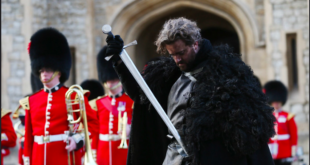 Magic Light Pictures, the multi Oscar-nominated production company, has been providing festive television to BBC One for over a decade. This Christmas it’s bringing the 2010 children’s picture book created by Julia Donaldson and Axel Sheffler to screens across the UK. The enchanting half hour animated special will be voiced by a cast of British acting talent, including Sir Lenny Henry (Broadchurch) as the narrator, Tracey Ullman (Tracey Breaks the News) as Madame Dragon, Hugh Skinner (W1A) as Zog, Patsy Ferran (Jamestown) as Princess Pearl and Kit Harington (Game of Thrones) as Sir Gadabout. Sir Lenny Henry said: "It’s wonderful to have voiced the narrator in Zog for this Christmas. The story has a lovely lyricism to it and it’s been really good fun seeing the beautiful animation come together. "There’s a cast of brilliant actors and the story is silly, and outrageous, and surreal, and I like all of those things." 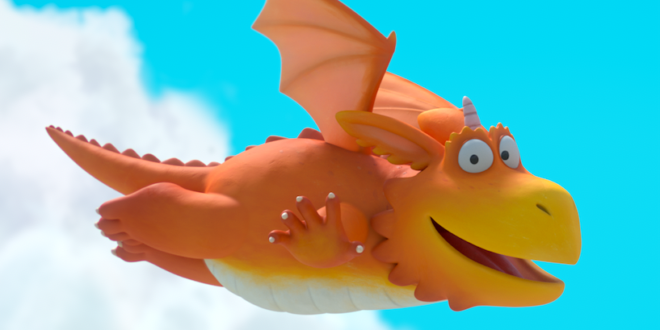 Zog is a keen but accident-prone dragon who gets himself into mischief whilst learning how to fly, roar, breathe fire and fight knights in his first four years at Dragon School. Zog is directed by Max Lang, the Oscar nominated director of Room on a Broom and The Gruffalo, and by Daniel Snaddon, co-director of Stick Man. It’s produced by Michael Rose and Martin Pope of Magic Light Pictures and the composer is Rene Aubry, who has written all of the music for the collection of films. 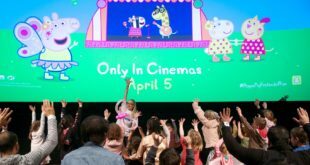 The adaptation’s Animation services have been provided by Triggerfish Animation in Cape Town and was acquired for BBC One by Charlotte Moore, Director of BBC Content, and Elizabeth Kilgarriff, Senior Commissioning Editor, BBC Drama. Elizabeth Kilgarriff, senior commissioning editor, BBC Drama, added: "Magic Light Pictures is yet again promising the BBC audience a Christmas treat with Julia Donaldson and Axel Scheffler’s brilliant story of a dragon and princess who both dare to be different. "To have such recognisable and wonderful voices bringing the characters to life is very exciting indeed." Zog marks the sixth adaptation by Magic Light Pictures of a Donaldson/Scheffler title. 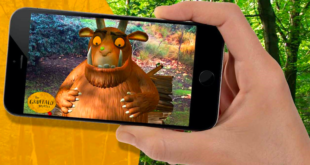 Previously, Magic Light produced The Gruffalo and The Gruffalo’s Child, with the former winning over 15 awards as well as nominations for an Oscar, a BAFTA and the Cartoon d’Or and delivered audiences of 10 million to BBC One for their respective Christmas Day transmissions. Other titles include Room on the Broom, which received a 2014 Oscar nomination and won a BAFTA, an International Emmy and an RTS Award; 2015 ratings hit Stick Man and The Highway Rat which just scooped a coveted Rose d’or in the Children and Youth category at the 57th Rose d’Or Awards held in Berlin.